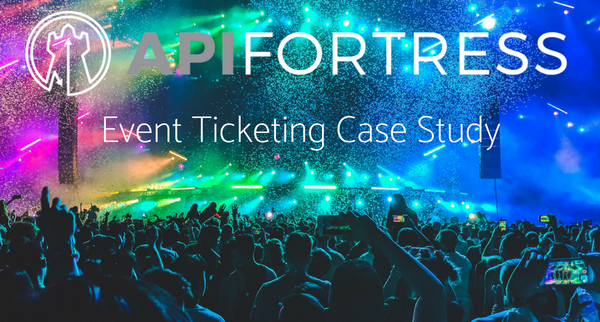 In the past month API Fortress has sponsored 2 conferences, and has another next week. 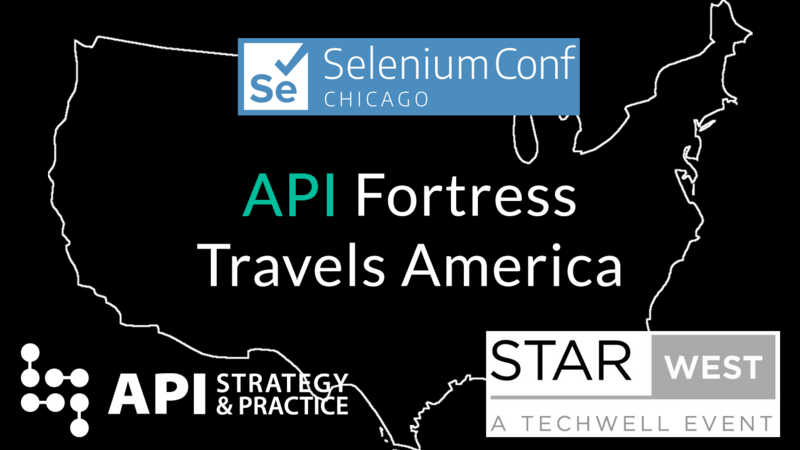 First was API Strat in Nashville, then Starwest in Anaheim, and next week we visit SeleniumConf in Chicago. What is fascinating is how unique each conference is. Broadly speaking, API Strat was focused on API makers, while Starwest was focused on testers (of websites, apps, and APIs). Developers and testers have long been viewed as different roles that depend on each other, but what is unique is that now in 2018 more and more testers are finding themselves developing to help automate. 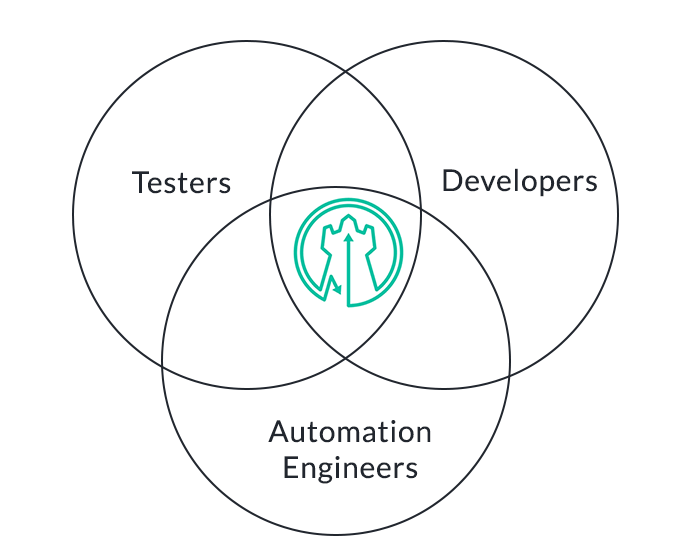 The lines between tester and developer are looser than ever, specifically with the advent of the automation engineer. What is exciting and challenging is how we accomplish this. Those are fairly straightforward needs. It can be broken down into build a test, run the test, give me information. The only real difference is that every person has their preferred method to work. Whether that means in a simple drag-and-drop GUI, a code view, or their own IDE with command-line tools. The bottomline is that everyone wants the same things, but they want it unlocked their way. That is where we are right now after three long years. That is what makes these conferences so exciting for us. We aren’t just repeating the same thing to everyone that walks by. We want to know what you do, what you’re using, and how you like to work. Every person has their own needs. We don’t just want to speak to you, we would love to have a conversation.